The Scripture Project is the name of the initiative that produced a set of advanced essays on the doctrine of Scripture, culminating in the publication of The Enduring Authority of the Christian Scriptures. 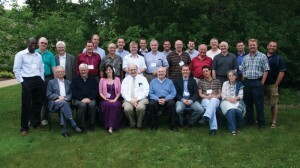 A group of thirty-eight scholars agreed to contribute, writing in the heritage of informed confessionalism on a wide range of topics designed to address contemporary discussion Our aim was to produce a comprehensive volume that would be a touchstone on the subject for the 21st centuryon the nature of the Bible. The first draft of the essays was completed before the summer of 2010, when the contributors convened for a private conference during which they worked over one another’s papers. Suitably revised, these papers were published by Eerdmans in 2016. The editor is D. A. Carson. 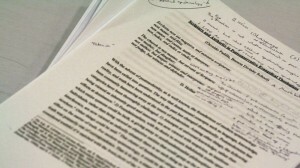 First drafts of the essays were circulated among contributors, who participated in a private colloquium in 2010. The 36-chapter, 1,200 page collection of essays was released in February of 2016 by Eerdmans. Don Carson is the Research Professor of New Testament at Trinity Evangelical Divinity School, where he has served for 35 years. He is a prolific author, having written or edited more than 50 books, and an active guest lecturer and preacher. Dr. Carson is also a founder and the current president of The Gospel Coalition.